I just finished my first week here in San Antonio, and I really am just starting to get settled in. I am working nights again, and I’m back to working an irregular schedule, so adventures and trips are probably going to happen less often than they did on my last assignment. I am loving being back in a city, and I am looking forward to exploring the area and meeting new people here. This week I did get to do some exploring dowtown at a FoodK. The FoodK was sort of like a 5K in that you got a racebib and map, but it was mostly just about trying new foods. 10 participating restaurants had free samples of different dishes for FoodK “racers.” It was a really neat way to get to try a lot of different restaurants and get to explore the riverwalk area. All of the food was really delicious, and I was so full after I finished. 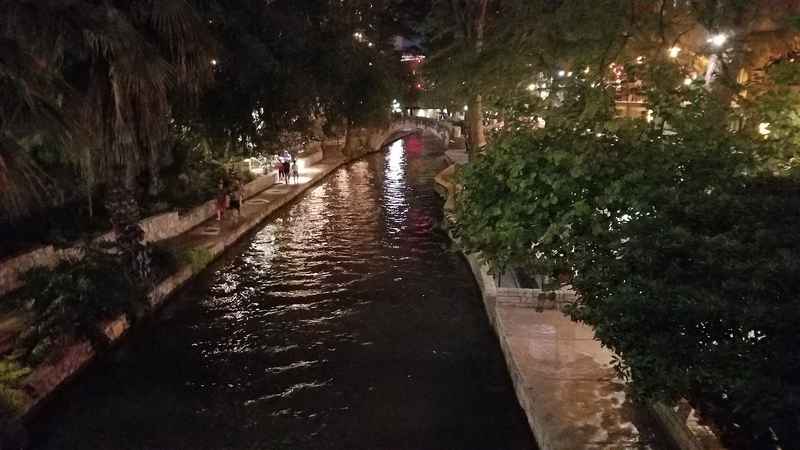 The riverwalk was really neat, and I think I will probably go back again to explore more. I’m still figuring out what all I want to do in the area, and how I’m going to fit my adventures into my schedule. Hopefully, as I get more settled into a new routine with work, I will be able to plan out some bigger adventures.